IN: Enough with the Goddamn Vibra-Slap Already. 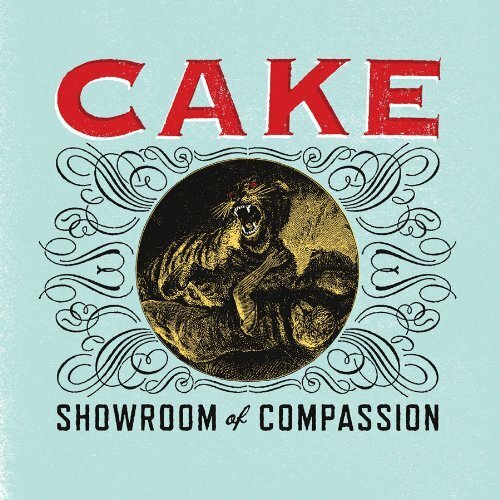 “We’re opening for ourselves!” CAKE frontman John McCrea announced last night at the first of three consecutive sold-out evenings at the 9:30 Club. He was explaining their appearance at earlyish hour of 8:15. It’s “an evening with CAKE,” he said, stretching out the word “evening” in his mouth. Sounds like the eclectic Sacramento group — riding high on the strength of Showroom of Compassion, their first new music in seven years — had prepared a lengthy program and we’d all best get comfy, right? Nope! They played exactly 90 minutes, the minimum acceptable amount for a band with a 17-year catalog. Which would’ve been okay if they didn’t do everything possible to drain the gig whenever any momentum or excitement threatened to accrue. A 20-minute intermission after only 45 of music? Allowable if you’re going to play at least double that upon your return, or if you’re an aged legend who physically requires a midshow rest. These guys? All in their mid-40s.